Discussion in 'The Lightweights' started by abracadordosaco**, Jun 5, 2014. Why isn't he at Popeyes? Aww man. Don't be sad DC. You'll get your shot. After this fight, Gus can make Jones fight Daniel before he allows Jones a rematch. They don't stay open too late do they? Never would thought dc would be a wheat beer kinda guy. For DC they can make an exception dammit! 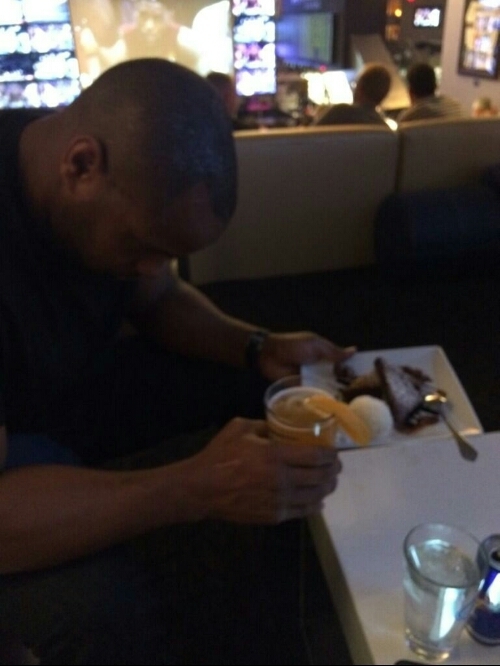 Damn, DC and his emotional eating. look at the position of his hands. he's clearly giving a holy offering to the JBG. If he was at Popeyes he wouldn't be so down, poor fella. Wait a minute; is that Jon Hess making a comeback!?!?! Why don't they just make it a triple threat match, Jones-Gus-DC? Winner gets Popeyes.